YummySoup! is a program developed to be able to manage all kinds of recipes as comfortably as possible, because it has an interface that is very easy to use and a series of tools that simplify the process of sharing each of its entries, importing data from a website or tagging the dishes so as to be able to access them quicker. 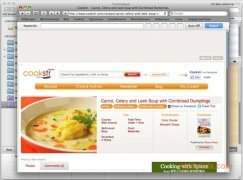 The interface is similar to that of the iTunes manager and player, because it has a sidebar from which you will be able to access the recipe depending on the kind of dish it is, the ingredients or those that you still haven't tried. 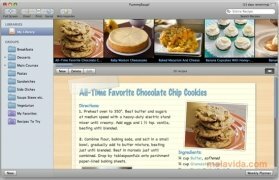 It has a very comfortable visualization system that offers us the possibility to view the recipe on fullscreen (so it's much easier to see them in the kitchen), and it also allows you to export each recipe as an XML file using any of the publishing templates that it includes (that provide each file with a rather professional aspect). 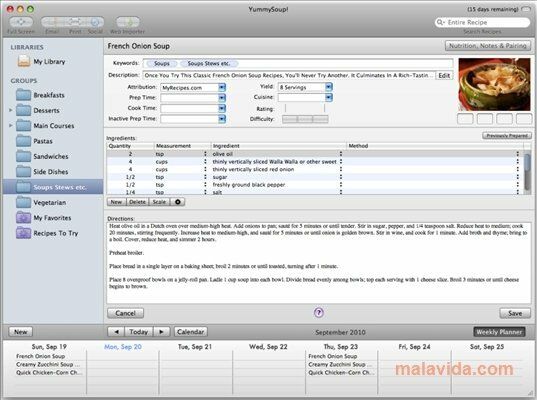 Other utilities included in the program are a tool to calculate the quantity of ingredients depending on the amount of diners and a tagging system with which it will only be necessary to write a couple of words to find the recipe that you're looking for. 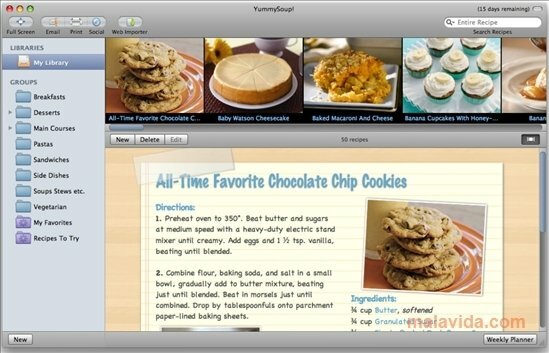 Discover the best application to manage the recipes of your favorite dishes thanks to YummySoup! The trial version can be used for free during 15 days.